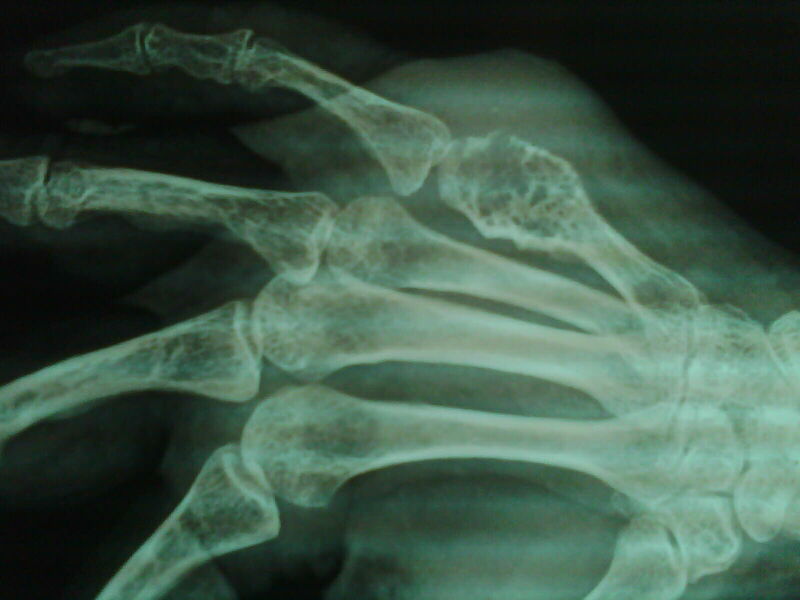 5O Years old female patient presented with swelling around the posterior aspect of the right hand since 1 year. The swelling followed by the discharge since 5 months and the pain on and off around the wound and also the dark discoloration of the surrounding skin. The discharge is serous type with no any blood, pus or any smell. There is no history of any specules,bony fragments,granules in discharge. No history of any trauma, any wound over that area before. No history of any other bony swellings. No history of any joint pains or joint stiffness. No history of any constitutional symptoms. No history of any massages or other treatment other than analgesics. 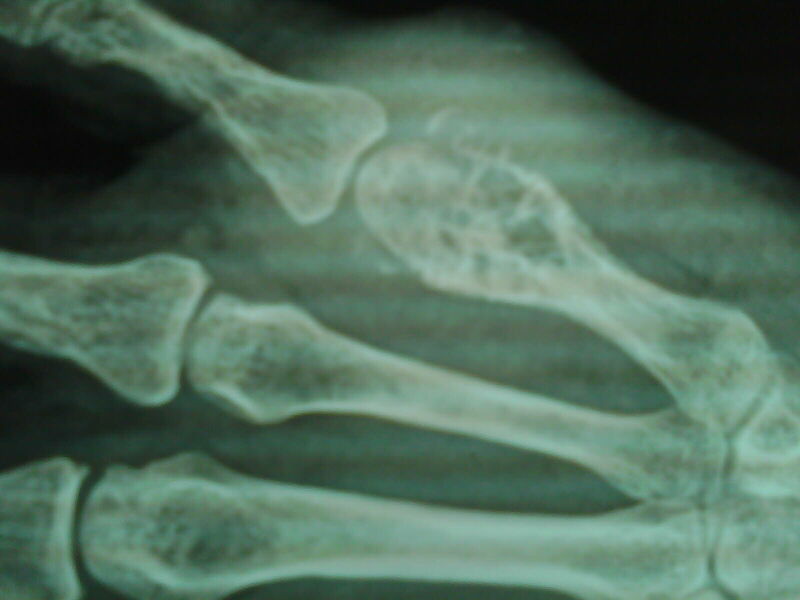 Swelling around 5/5cms on dorso lateral aspect of right hand,with ulcer of 2/3cms ovoid shape with granulationtissue. No any active discharge, sclerosed margins with hyper pigmented surroundings. Base of ulcer is the 5th metacarpal and floor by the dorsal interossei muscles. ESR: 60 mm 1st hr. Biochemical investigations: within normal limits.